Officially my first disappointing pancake-review. 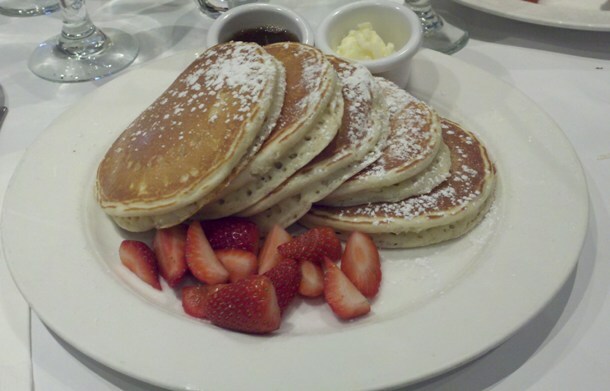 While visiting family and friends in New York City this week, I decided to review pancakes at Sarabeth’s on Central Park South. Having gone to Sarabeth’s several times over the years -mainly for dinner – I figured it would be a great stop for my first NYC pancake review. Well, unfortunately, I was wrong. 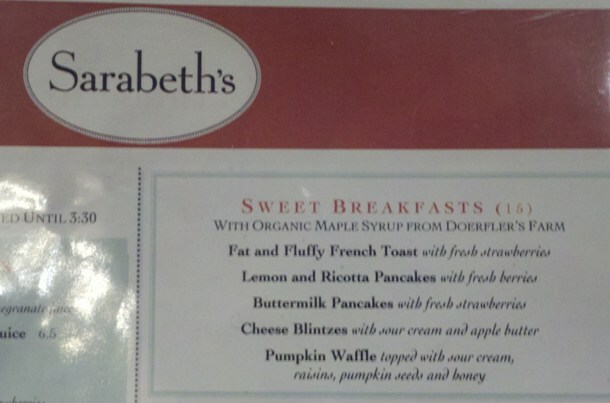 Sarabeth’s is officially my first review of disappointing pancakes. While the menu itself has cute names for dishes, including the “Baby Bear,” “Mama Bear,” and “Papa Bear,” the creativity with its pancakes is for sure lacking. If you’re only going to have two types of pancakes, both options HAVE to be amazing. While the buttermilk pancakes looked pretty, their taste was abysmal. If I were blindfolded and had Eggo pancakes on one side, and Sarabeth’s pancakes on the other, it’s unfortunate to say that I wouldn’t be able to tell them apart. If you’re going to spend $15 for a pancake-breakfast, by no means should the food taste microwavable. Now, only because I’ve had dinner at Sarabeth’s, I do not actually believe these are microwaveable pancakes – but they sure taste like ’em. There was no creativity whatsoever in this dish, except for the way they were stacked on the plate. My only positive comment is the strawberries tasted exceptionally fresh. And while this is not in reference to the pancakes, I found the staff to be quite stand-offish and snooty. Sarabeth’s: my advice is to be a bit nicer to patrons paying these prices for underwhelming meals, and skip the sanctimonious attitude towards the girl who grew up down the street from your Central Park South location, and is blogging about your services. All in all this is, unfortunately, a pancake breakfast you can skip – unless of course you crave the memory of ready-made pancakes back from when you were a kid running late for the bus.